After Diezani Alison-Madueke Arrest. Who is next? ~ CK Jacob: Nigerian Fiction And Lifestyle Blog. After Diezani Alison-Madueke Arrest. Who is next? 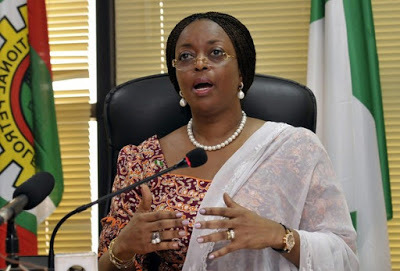 Petroleum Minister, Diezani Alison-Madueke was arrested yesterday in London for crimes related to bribery and corruption. Heard she has been granted bail. There are many corrupt politicians in Nigeria and I believe with the new government, there will be change. I can't wait to see corrupt leaders who failed us behind bars. Who do you think will be next?